Hello, Dearies, and Merry Christmas, Happy Christmas (for you British lovelies), and Happy Holidays! Talk about a whirlwind year. For all of us. Writers alike; people in general. Life has changed dramatically and will probably never be the same. I have been having late nights and ups and downs; burns and cuts. And a world of writing ideas. I never knew what kind of people worked in a kitchen. I never knew how a kitchen even functioned. While I still am a total newbie and this is my ‘first rodeo’ (my chef rolled his eyes a that statement. I guess he has never lived anywhere near the country) I am slowly learning how things function. I had our new sous chef ask me how long I have been in the kitchen world and I replied, “Since November 20th.” I have to laugh. Just over a month. Christmas came too fast this year and I haven’t had much time to enjoy it like I usually do, which has dampened my spirits some. A lot. But I have three days off, including today, which is Christmas Eve, so that helps. I have Christmas ideas in my head and I am working on my Hallmark new story. Basically you have Noelle, a personal assistant to a retired judge and his wife who own a large mansion. Noelle Snow has been decorating the house up to the nines, or rafters, because the whole entire family of the judge and his wife’s are coming home for Christmas. Including one of their favorite grandsons who just so happens to disapprove of Noelle and all she has done for the Carson’s, even though they have never met in person. Well, of course Noelle is going to win him over! It is Hallmark after all. Of course there is going to be Christmas music, and gingerbread cookies with kids, and snow, and maybe a sleigh ride. Lights everywhere. A house decorated with a Christmas tree in every room. And Noelle? Well she happens to always have Christmas music playing in her room. Why wouldn’t she? Did you see her name? Can you just hear the disapproving tone of a handsome lawyer grandson when he says “Miss Snow.”? Too perfect. I need happy right now. I need ridiculously cheesy Hallmark Christmas romances. I need to write it. Life is too funny and fickle to not have it in your life. I don’t care if I sound like a goody two shoes. Apparently in my job I am the ‘too nice.” I don’t care. If everyone were too nice, the world would be a lot happier place. I have acutally had people ask me if I get up in the morning as perky as I am when I come into work. Haha. Oh the miracles of makeup and a boatload of coffee. It’s nice to think that people think I’m perpetually happy. It’s a far cry from the truth, but I figure they shouldn’t know my problems when I’m out at work. Unfortunately my family gets the brunt of that when I come home. I vent. A lot. But I try to get through every day with a decent attitude. My not so positive attitude comes out in my poetry. That gets to the heart of my heart. I have something started about being flayed open. Cooking terms. Filleted alive. A pound of flesh. Goodness, that’s depressing. I get through some days realizing that I have a manuscript on editor’s desks right now! It’s been there for almost three months. I have a manuscript on editor’s desks! Even saying it still blows my mind. I mean, it’s legit. I am a poet. I may not always have the time, but I am a poet through and through. Anyways. Merry Christmas, darling writers. Readers alike. I’m off to watch a Hallmark film with the family. I think The Holiday is in the near future, but that’s a prerequisite. Oh and Charlie Brown! I need Charlie Brown. And I know this may sound strange, but I now associate Meatballs, the camp movie, with Christmas and winter. I am going to make that a tradition. My parents don’t know this, but I so love that film now. Our lovely patriotic tree. Done up in burgundy balls, turquoise baubles, and glittery icy white snowballs, icicles and dancing reindeer. 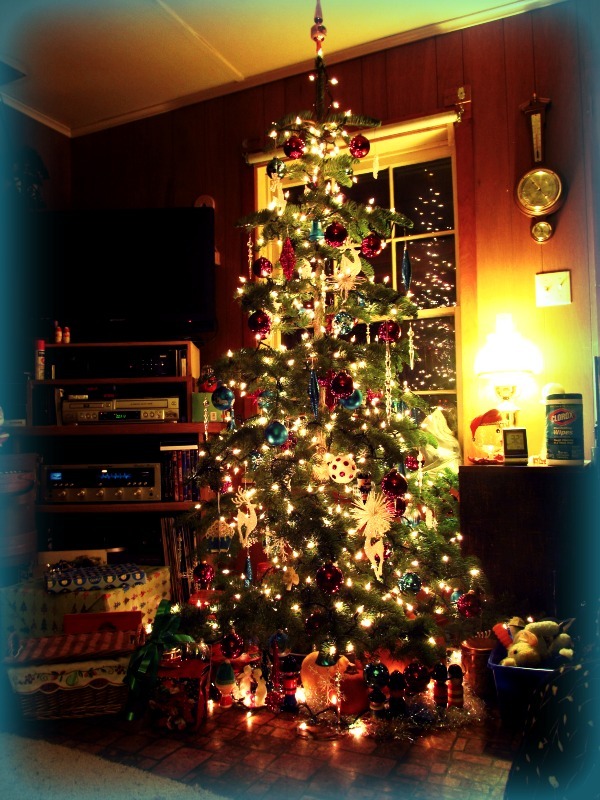 I’m sitting here looking at our lovely tree, dripping with icicles and red balls; gorgeous turquoise ornaments, and reindeer that leap and prance across the branches, twinkling with the most luscious glitter. The tree sparkles and twinkles, dripping with jewels. It is an elegant tree. And it’s December 30th, 2012. Yup, I am writing this post from last year. Or it will be last year when this is eventually published. I’m being proactive. I never get around to posting an honest to goodness Christmas post here because I’m besieged with other holiday plans. Like sitting back on the couch and reading because there is actually time. I love Christmas. My parents, growing up, had years of not the best Christmases and they more than made up for it for me and my sister. I have adored Christmas since I can remember. From the tree to the decorations, to the Mom and Pop bringing back special Christmas treats when they came back from their mini vacation away from us two for a few days. The Christmas season never lasted long enough, and still never does. The one constant? My family. My family is always together for this holiday, partly because they can’t get rid of me. I have had the luxury, though at times I don’t find it to be that way, of being able to spend all my Christmases with my family, excluding the one where I spent it in Pittsburgh with my then, boyfriend. I love our traditions of watching The Holiday and The Santa Clause. I love how we have our one Christmas cd we play over and over and over until it’s ingrained in our heads. I love making homemade eggnog that every one raves about. And I love just the whole spirit that is part of our family. So, from the cold and snowy, White Christmas land of 2012, Merry Christmas dear readers. 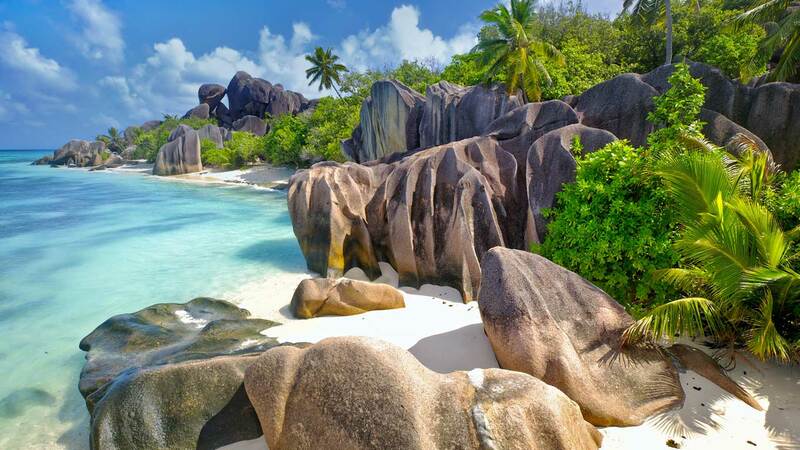 Have a lovely Holiday. 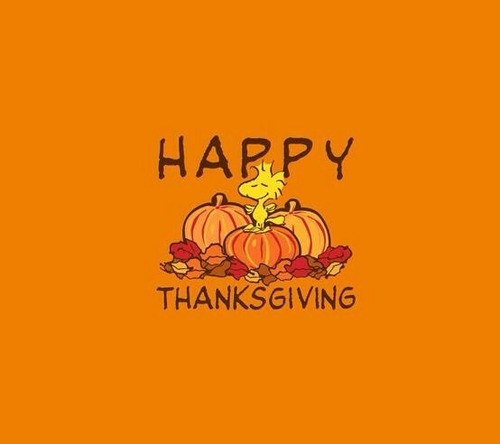 I want to wish you all a safe and Happy Thanksgiving. Thank you for the follows this year and everything. I hope you all have a day of reflection and hope. One of our greatest presidents set aside this day to give thanks to our Lord and Savior. A day for us to remember. Stay safe and see you in December. I absolutely adore this image that was from the Valentine’s Day Bing homepage. It’s sweet and it kind of makes me think of several things. Obviously the first thing is love. A couple of little love birds, right? But then after staring at it for a moment, and a comment or two from my mom, we decided it’s a couple of little old ladies sitting together and one has to fix the other’s feather that is just out of place. It mustn’t be. Just like if you have a hat on and a bit of the decoration is tweaked. It has to be fixed. These are just two of the best friends ever. They do every thing together. Doesn’t it look like that? In writing, I find some of the simplest things can become great ideas. I want to write about two little old lady owls that are best friends. They have tea together every day, or take a walk through the park. Who knows. This may never go anywhere, but I have the idea stuck in my head. It’s cute and charming. I am being incredibly proactive. I just finished writing my post for Christmas. Yes, I decided that I never get around to a proper holiday post, so why not do it now, while I’m in the spirit and have major inspiration. I need to add a picture, but I have it all ready for the 24th of next year. It’s kind of fun. Like a little present to myself and all my readers. Now, sure, it takes away the surprise if I tell you now that I already typed it up, but will you actually remember that I told you that? Probably not. I’m never one to be very good at blogging on time. In fact, I’ve become quite horrible about it. I was much better with the WordPress challenge of Postaweek last year. It was much easier when I had a deadline. I’m trying to get back on track to blogging more regularly, along with writing query letters and writing in general. I’ve gotten bogged down in holiday cheer and the whole relaxing after a crazy summer and fall. I have millions of ideas in my heads, and actually some time to write, yet I spend it futzing and reading. Oh well. Reading is important. So, here’s to one of my New Year’s resolution of being proactive. Happy Thanksgiving dear readers. Enjoy all the fun and festivities. Don’t forget to watch The Parade. And if you are lucky enough to be there in person, good for you. We have so much to be thankful for, living in this country. It is the best, and we should be proud of it. Let’s keep it that way, and God bless every one of you on this special day. Don’t forget the reason why we have this holiday. Celebrate your freedom. “The Day” is practically here, but I thought I would post about some of my favorite holiday traditions today. 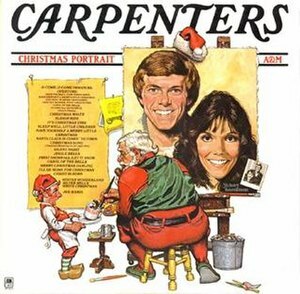 It’s just not Christmas to me unless I listen to the Carpenter’s A Christmas Portrait album. When I was little I loved playing that record over and over during the season. Karen Carpenter’s version of the Christmas Song is still my favorite. As well as the Christmas Waltz. The first words,” Frosted window panes, candles gleaming inside, painted candy canes on the tree,” are what I remember most about her voice. I was a teenager when we finally got the cd version. The version that Richard Carpenter messed up. I mean, what happened to “Oh Come Oh Come Emmanuel”? Though I listen to the cd most of the time, I miss the original recording. Yes, I could play the record, and I really should. A Charlie Brown Christmas never fails to delight me. I watched it last week with my sister, and will probably do it again once more just for good measure. I love Snoopy and the gang. I love Linus’ version of the Christmas story. This cartoon never fails to delight me. Christmas. I love, love, love this one more than Charlie Brown, I think. I love Max, the dog, and the whole story. I’ve almost gotten the story down where I can repeat it, but not yet. A few more years. I have managed to watch this twice already this year. Another little thing I love reading a book from my childhood. It’s A Child’s Christmas Cookbook. Put out by the Denver Art Museum back in 1964, this book is illustrated with Victorian pen and ink drawings by Thomas Nast. The book is cutzy little recipes and ideas for children during the holiday season. I’ve never made anything in it, but it’s adorable to read. You can read it like a book as it’s a thin paperback. I can’t explain why I love it so, but it just brings to mind the smell of Christmas trees and sitting in the living room looking at all our Christmas books. 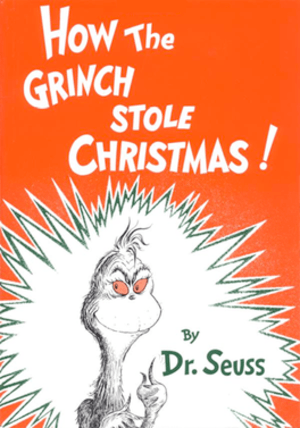 Out of all the books for this time of year, this one is one in particular I ALWAYS read. Another book or story, is The Night Before Christmas. A total classic, I know, but a must. Need I say more? Ah, films. It’s just not Christmas without White Christmas. 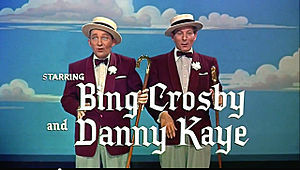 That old classic Bing Crosby and Danny Kaye film. I never grow tired of it, though this year, I wonder if I will get to it in time for the holiday. If not, I don’t mind too much. 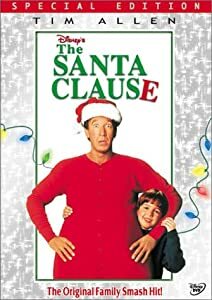 Lastly are the three Santa Clause films with Tim Allen as Santa. I love them, and they have become a staple. There are other things that scream Christmas to me, and many other things that are minor traditions, these just happen to be musts in my mind. So, to all my readers, Merry Christmas. Have a safe and joyful holiday with friends and family.